will be remembered as a loving, caring and enterprising woman. Born in 1928 to the union of Buchanan T. Boulware and Jebbie Winston Boulware in Blairs, South Carolina, she was destined to play a pivotal role in the education and fulfillment of hundreds of African-American youth. Vernese completed her bachelor's degree in Business Administration at what is now North Carolina Central University in Durham, North Carolina. It was there that she met and married Samuel O'Neal, whom she followed to Birmingham, Alabama in 1954. 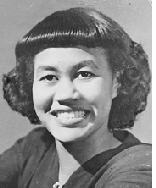 Vernese taught Business and later became Registrar at Miles College in nearby Fairfield, AL. In 1963, she earned a Master's degree in Guidance and Counseling at Indiana University in Bloomington and was subsequently named Director of Student Affairs. In 1970, Samuel and Vernese moved to New Orleans, Louisiana, where Vernese became Director of Admissions at Dillard University. She held this position for more than twenty years. In addition to shepherding in and leading the admissions team for thousands of new freshmen, she helped students at all levels to attain the financial and moral support to complete their studies at Dillard and beyond. In a seven-day sojourn in 2005, Vernese and Samuel drove from Louisiana to Michigan after Hurricane Katrina destroyed the family home. It was yet another instance in which she showed stalwart courage and strength of character. She and Samuel established residence in Detroit until the time of her illness and transition on September 8, 2007. Vernese will be missed by her loving husband Samuel, her daughters Adrienne S. O'Neal, a distinguished U.S. Foreign Service officer, and Deborah P. O'Neal, M.D. of Detroit, grandsons Quincy S. O'Neal and Joshua Patrick O'Neal Woods, extended family, friends, faculty and graduates of Dillard University.